Not far from our home are row upon row of neatly planted grapevines climbing quietly toward the sun. Even from a distance it is clear that the hand of a vinedresser has touched them. Such simplicity of design does not come without long hours of meticulous labor. 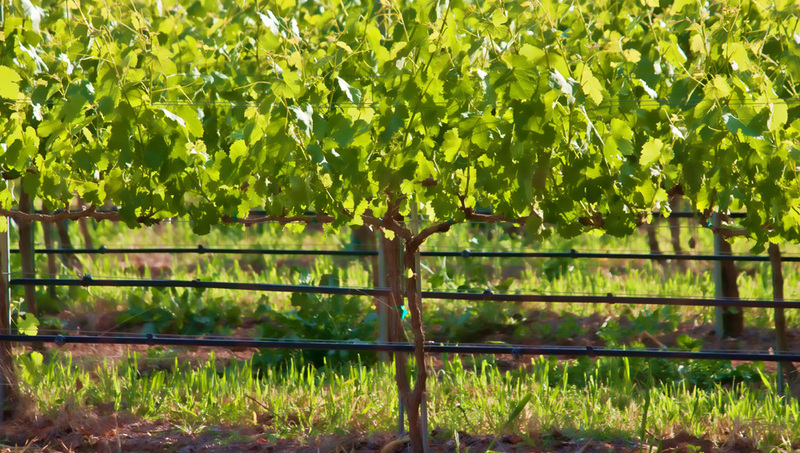 Like these vineyards, our very existence depends upon One who plants and waters our lives. Our very survival depends upon One who knows how and when to prune, and which branches to remove. To see God as the Vinedresser is to relinquish absolute control of our lives, and to locate our lives within the wider landscape of God’s will. So much depends upon our willingness to release our individual distinctiveness into the embrace of a community symbolized by a vineyard. The beloved community that Jesus calls forth is one that embodies an African proverb: Because we are, I am. Just as the branches are intertwined on the vine, and it is difficult to trace individual branches from beginning to end, when we build trusting relationships through our shared devotion to Christ we are able to bear the fruit of grace and peace in our lives. There are several ways that our lives abide in Christ, and one is practicing the art of forgiveness. Henri Nouwen writes, “Forgiveness means that I continually am willing to forgive the other person for not being God — for not fulfilling all my needs. I, too, must ask forgiveness for not being able to fulfill other people’s needs” [The Only Necessary Thing: Living a Prayerful Life, edited by Wendy Wilson Greer (New York: The Crossroad Publishing Company, 1999), p. 150]. As members of a faith community, we have high expectations of one another and only get a portion of what we want. So we must continually forgive ourselves, and one another. Even in our acknowledgment that none of us is God, we can celebrate the reflection of God in each other, the beautiful gifts we each bring to the table by God’s grace. Another way we abide in Christ is by grounding our understanding of what it means to be the church in the biblical image of the body of Christ. Graham Standish, in his book Becoming a Blessed Church, writes, “In 1 Corinthians 12 Paul outlines a vision of the church as a living, breathing, acting body with Christ as its head. Too few churches hold onto that vision. The blessed church is the body of Christ that follows Christ’s guidance to feed, nourish, and care for itself in a way that allows it to grow and become a servant to the world” [Becoming a Blessed Church: Forming a Church of Spiritual Purpose, Presence, and Power (Herndon, Virginia: The Alban Institute, 2005), p. 22]. We also abide in Christ through prayer. Prayer is like the nervous system of a body. Prayer is the hopeful waiting for God. Prayer enables the head and the heart of the body to communicate. Prayer leads the praying congregation into the wisdom of Christ and helps it to discern Christ’s way, leaving the results to God. Finally, practicing compassion helps us abide in Christ, through the ways that Jesus’ life reveals God’s boundless compassion for the world. Nouwen writes, “Our call to compassion is not a call to try to find God in the heart of the world but to find the world in the heart of God.” When we seek a deeper spirituality it leads us into solidarity with the suffering world. Abiding in Christ is like being a living branch connected to the vine, and through the vine to the earth, and through the soil’s nutrients to the very Source of Life. God the vinedresser cares for the vines, prunes the branches, and does all that is necessary so that the plants bear the fruit of justice, compassion, and peace in the world. May it be so! Is the last image a photo or artwork? It’s beautiful and compliments your writing. These are both photos that my wife Dallis took on our Sunday afternoon drive through the country a couple of days ago. Thanks. I should probably step in here and say that it is a photo, but “enhanced” a bit, to look more like a painting…thanks for your appreciation!! Beautiful words and beautiful photos. My pastor spoke this past Sunday about life in the vine and how we as branches are connected through the vine regardless of place, position, etc. I’m thankful that “Abiding in Christ is like being a living branch connected to the vine.” Thank you for sharing encouraging words and images. Yes, it is a wonderful feeling to be living branches connected to a living vine! Thanks for your comment.